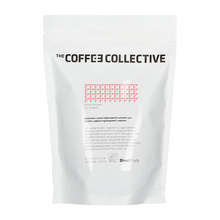 The Coffee Collective is a micro roastery from Copenhagen. It has been linking the farmers with the clients since 2007. 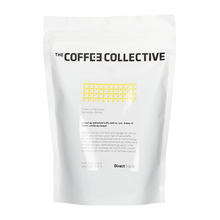 The roasters purchase the beans directly from plantations and are well acquainted with the clients' needs, as The Coffee Collective is also a shop and a chain of 4 cafes. 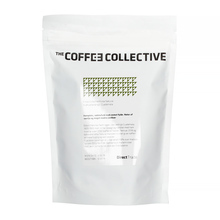 Among their coffees, you can find only exceptional speciality beans from various parts of the world. Their team of professionals includes, for instance, a World Barista Champion, World Cup Tasting Champion, and multiple Denmark and Finland champions in different coffee tournaments. 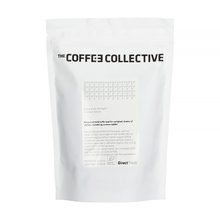 250 g Bolivia Ethiopia Guatemala Kenya Whole bean 100% Arabica Natural Washed light medium Pour over (Alternative brewing methods) Sort by: Price (Low to High) Price (High to Low) Product name a - z Product name z - a Highest rate Lowest rate New in!